Stopped by 'The Art Store' in Henrietta, NY. What fun. So many pens and markers to try. I came home with Prismacolor Brush Markers in black, blue and sepia. 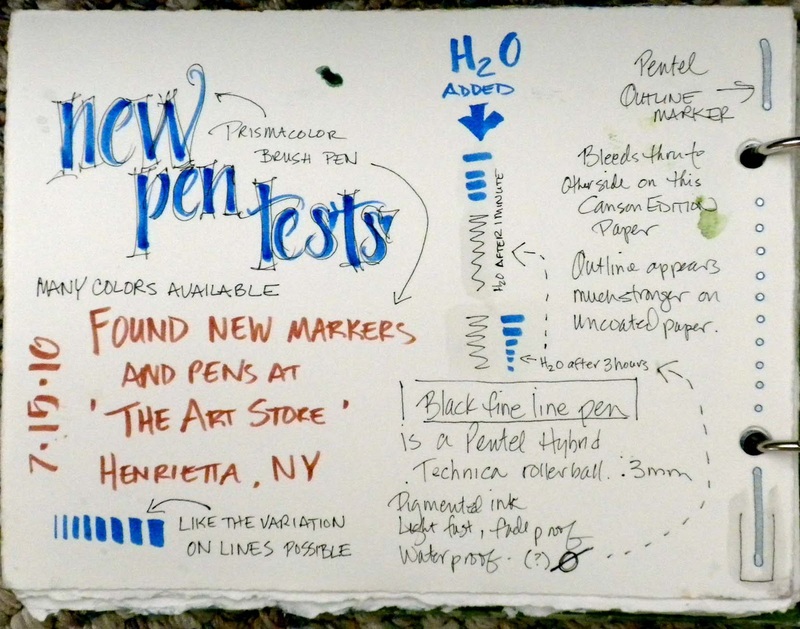 A Pentel Outliner Marker in silver/blue and a Pentel Hybrid Technica 0.3 mm roller ball pen in black. I like the various widths I can achieve with the Prismacolor brush markers. The brush tip is a bit more stable than the Micron Brush tips allowing, to me, more control. The size is also good for journaling. Many colors are available. They are acid-free, light-fast and waterproof. 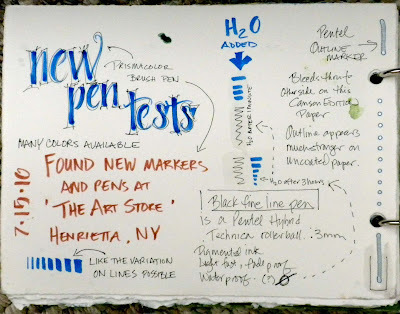 The Pentel Outline Marker is interesting. It works best on uncoated paper. The store offered them in silver with black, blue or green outlines. The silver is bold and shinny, the blue outline is very fine and medium in color. The marker bled thru to the back side of paper. I tested it on Canson Edition paper (pictured) and Strathmore 140# Imperial wc paper. The bleed wasn't as bad on the latter, but still would make the back side of a journal sheet unusable. The Pentel Hybrid Technica pen is advertised as light-fast, fade-proof and water resistant. I argue with the latter. 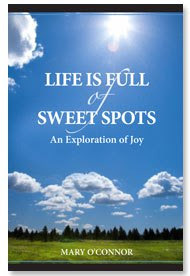 I wrote with it in my Moleskine (regular coated paper) on Canson Edition paper, and Strathmore 140# Imperial wc paper. I wet the pen lines with a waterbrush immediately and other lines after a few hours. Both test came up with black ink running. Not badly, but the paper did get gray. I do like the way the pen writes. The .3mm is considered 'extra fine' and it also comes in .4 & .5 mm points. Thanks so much for sharing this, Pam, I'm going to have to check out the brush markers from Prismacolor! Thank you for the review! I find the Micron brush pens a bit too "flippy" and am glad to hear that the Pentels are firmer. I think I'd prefer that little bit of extra control. I love new art supplies (and hearing about them)! You're welcome, Elizabeth! I like the Faber Castell brush tips also. More firm. But I think the Pentel brush tips allow for more line variety. Also like Hyatts Art Supply on Jefferson closer to East Henrietta Rd. Currently liking My PITT brush markers. I forgot about Hyatts. I did get to the other store on Main Street in Rochester. The name escapes me at the moment. Also fun!